If you belong to the climbing universe, you should know that the belayer is the best friend of the climber. Don’t know who the hell is this? Well, the belayer is the person that provides support to the climber from the ground while ensuring the highest safety of the climber. To be a trustable belayer, one must have the best belay device. With a wrong belay device, the correct belay technique will seem ineffective. Today our goal is to help you out with the reviews of some of the highest quality belay device of the present time. Picking the right belay device not an easy task as it seems. Are you wondering why that is? Well, this is because of the different options available in the market. So, lots of people are making and selling belay devices. That’s why you will notice a lot of options in the market even while shopping for a belay device. The truth is, most of the products are useless for the price. And it is hard to find the best one among different belay devices available in the market. We decided to lessen your pain and clear all of your confusion by providing this review. Here we have enlisted ten amazing belay device of the present time. All of them are acceptable for the price. Just have a look at our review on best belay device and decide which one will best suit to you. The Black Diamond ATC-Guide Belay Device is known as one of the most efficient belay devices among all available in the market. It is one of the excellent devices with outstanding performing ability. This Belay Device from Black Diamond can do everything a belayer needs. 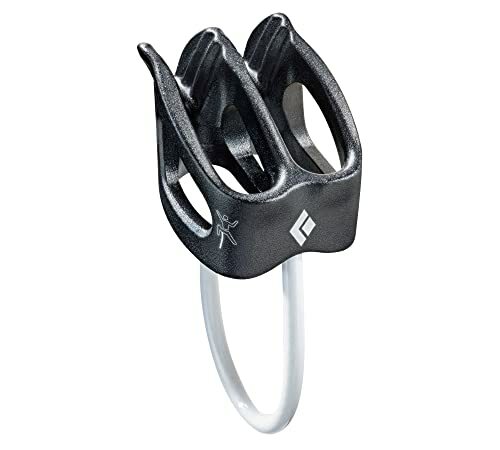 The Black Diamond ATC-Guide Belay Device is a traditional tube-style device that doesn’t have any assisted braking. But the device will belay in all necessary situations. The device is ideal for multi-pitch climbing. Besides, you will get multiple friction modes for effective belaying and rappelling. There is a durable cable that holds the device in the right shape and also resists getting caught up between ropes. The ATC-Guide works with one or two climbers. The price of the product is reasonable. Overall The Black Diamond ATC-Guide is an excellent product in every aspect. The Fusion Titan Terminal 8 Descender is another amazing option of the present day. With silver aluminum construction, it is an incredible option among avid climbers. The Belay Device has large inside diameter with ears and belays slots. The Fusion Titan Terminal 8 is one of the largest options in the market that is ideal for fast and secure use. In any adverse condition, it will serve you as a true champion. The device can handle heavy loads. The ears will allow you to use both of your hands-frees. 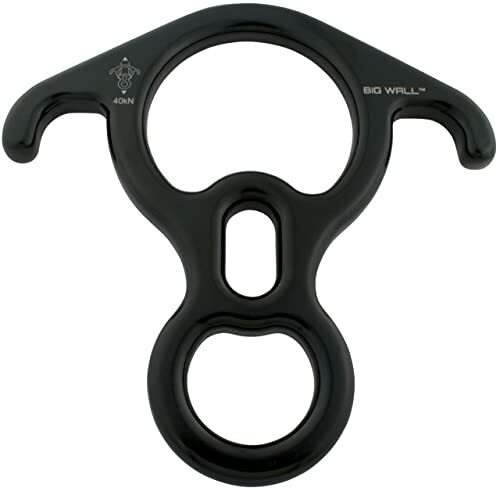 The Terminal 8 is ideal for use in rope systems, rappels, and belays. The device is secure and smooth as well. I am sure you will fall in love with this belay device just after your first use. The Black Diamond ATC Belay is another fantastic addition of the present time that is ideal for sport, trad or gym single pitch. The construction quality of the product is amazing with premium quality materials. It weighs only 2 oz. You will get two rope slots as well. The device is lightweight. Carrying this one will never be exhausting. Besides, in two slots it accommodates single or double ropes. The device is suitable for rappelling as well. It offers smooth performance all the time while ensuring the highest level of safety of the climbers. Some basic skills in belaying and this device will make your adventure memorable. The price is also reasonable as well. The Big Wall Terminal 8 Descender is the example of quality! It is sturdy and lightweight, constructed with premium grade aluminum with low acid paint. The device will last several years without creating an issue. It is UIAA Certified. The 40KN certified Terminal 8 device is perfect for belay rappelling, training, Silks and many more. Also, the device has ear included that will let keep your hands free. The price of the product is not that high. But the quality of the product is amazing. For the price, I can declare the Big Wall Terminal 8 Descender as one of the best options for both amateur and professional climbers. 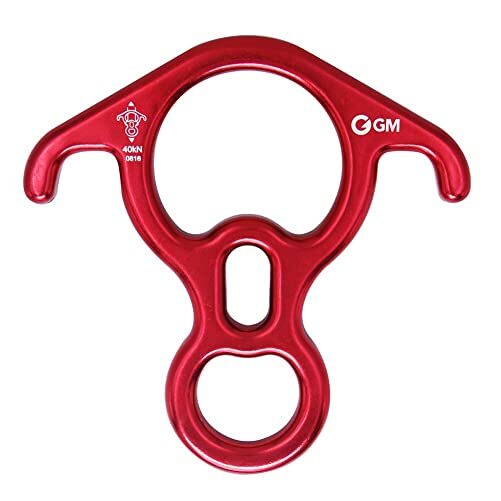 The GM CLIMBING 40kN Rescue Figure 8 Descender is a versatile rappel device with standard comes in a standard eight upgraded version. The main slot of the device is large enough so that you can double or triple your single rope according to your need. The body is thick and large that decreases the abrasion or wear of rope to the minimal level. So, the body is rope-friendly. However, it is easy to lock off with bent-ear. 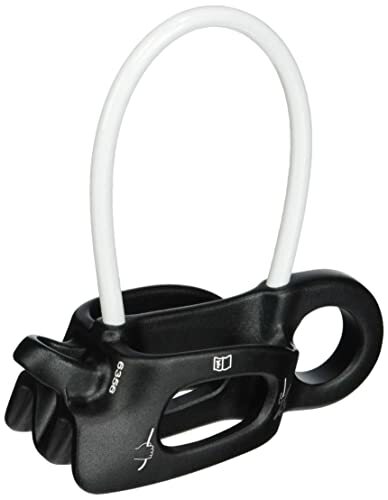 You can lock yourself off and keep both of your hands-frees while using the belay device. It is entirely safe and offers smooth performance. This product can be used for rescue, training, mountaineering aerial silk, and a hell lot of safety works. 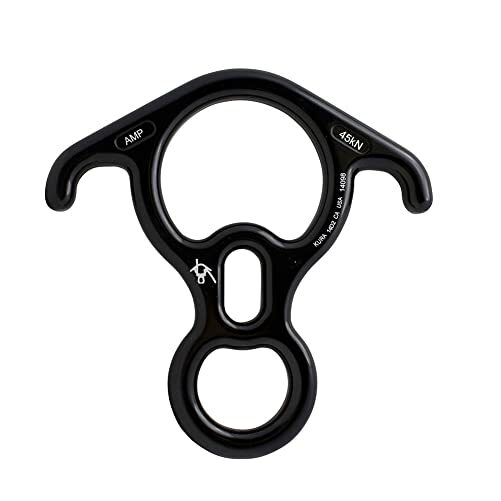 For the price, The GM CLIMBING 40kN Rescue Figure 8 Descender is the best bet for you. 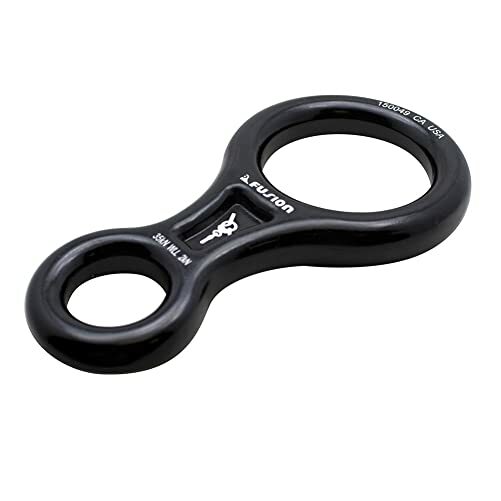 The Black Diamond ATC-XP Belay is known as the best belay device for the beginners. If someone wants to learn to belay, this is the ideal choice according to the experts. The belay is simple, reliable and accessible. The Belay Device is constructed with premium quality aluminum material that ensures the durability of the product. It is designed to last several years without creating any problem. 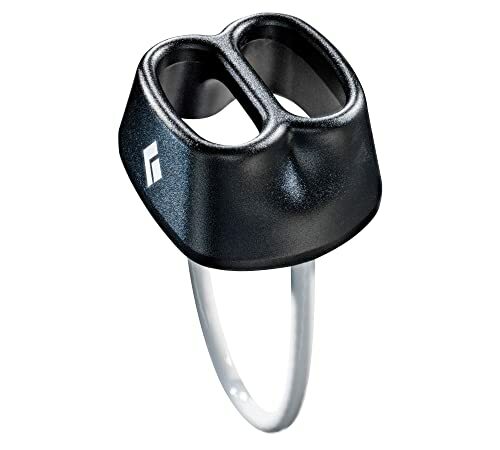 Out there in the mountain, it will keep the climber completely safe with its cool features. The Black Diamond ATC-XP Belay comes with two friction modes. It is not that heavy. Besides, it is designed to reduce rope kinking. The price of the product is not high instead it is considered one of the best value belay device of the present time. Your climbing experience with this one will be memorable, that’s a promise! 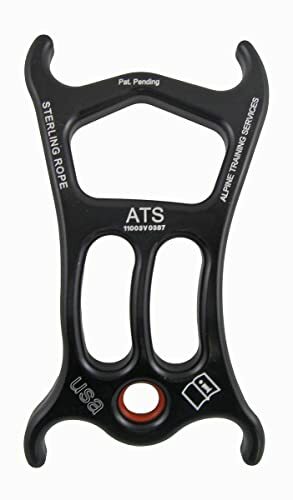 The Sterling Rope ATS Device is fantastic for the price. It is a versatile belay and rappel device that works like a true champion. The device is excellent for both rock climbing and canyoneering. The construction quality of the product is outstanding with premium quality materials. If you want to learn to belay and give support to your climber friend, this one is the right choice. The belay device accommodates the need for various fractions setting on rappel. It incorporates the best parts of a tube or plate device and a figure eight. The device is compact, durable and frame. The price of the product is not prohibitive. For the price, it is one of the best products of the present time. I am sure you will love to have it for your next mountain adventure. 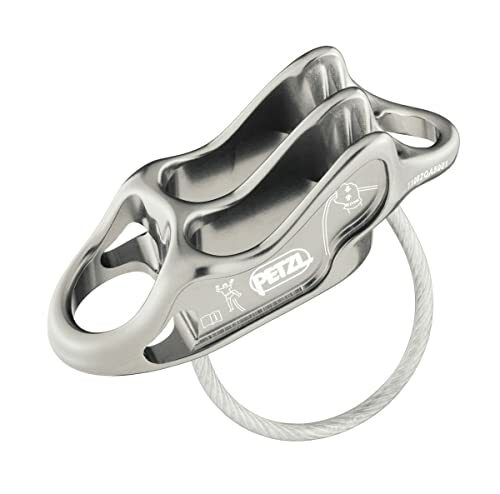 The PETZL- Verso Belay/ Rappel is the epitome of quality belay devices. There is nothing to say about the amazing durability of the product with the highest grade materials. It is designed to last and serve you better for a few years. The incredible quality of the device is that the device can work with all rope types that includes 8.9mm single, 8mm half and 7.5mm twin rope. So, you can call this convenient and versatile. You cannot ignore its compactness. It is a lightweight device that is easy to carry and use. With only 57 grams of weight, you can declare the device as one of the lightest models in the market. The belay device offers a great amount of braking power that makes it secure as well. While providing more rope to the leader, the device must allow the rope to go through it quickly. With the decreased friction system, The PETZL- Verso Belay/ Rappel device does the same thing. A belay device creates the difference between life and death on climbing. It is one of those devices that can save a life! That’s why picking the right belay device is mandatory, and the Fusion Climb Aluminum Figure 8 Descender is the product I am talking about. It is constructed with premium quality aluminum. So, the product is extra thick and also has ears and belay slot. In the slot, the single and double rope will accommodate perfectly. The ear will keep both of your hands-frees. 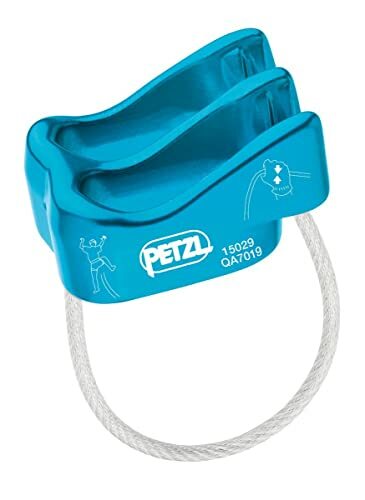 It ensures smooth rope action while descending or belaying. The item is lightweight and robust. The price of the product is reasonable as well. Overall, it is one of the most beautiful products of the present time worth trying. Ensure your purchase before the stock expires. Hurry up! Last but not least, the PETZL-REVERSO 4 is here for you! It is another excellent option for the price. The REVERSO 4 is ideal for multi-pitch climbing, sport, trad or gym single pitch. It is versatile with only 2.2 oz of weight. The device is lightweight and super easy to carry from one place to another. It has two rope slots available where you single or double ropes accommodates perfectly. The construction quality of the product is incredible with a premium quality forged aluminum body. It is designed to last and serve for a long time. A High-quality belay device can create the difference between life and death. Indeed, it can save your life on the mountain. But remember only a high-quality belay device is not everything. You have to have proper skill too. You need to understand the basics of belaying as well. Otherwise, an accident can take a life! Anyway, with skill and basics, you must have the best belay device for being the best belayer. Above we provide you some of the most excellent options. Check which one suits your need perfectly and click the given link. Don’t be so late. All of the products are highly popular. There is a fair chance that the stock is turned out. So, hurry up. That’s all for now. If you have anything else to know, feel free to share with us. We have a comment section in here. See you soon with lots of other tips and tricks with necessary product reviews.